Well, that didn’t take very long. YouTube has decided to take a firm stance on the appearance of dangerous prank videos like the Birdbox challenge on their platform. The community guidelines for creators has a new section that focuses on challenges and pranks. The update to the guidelines gives a very clear stance from YouTube about these kinds of videos. In addition, the ban also includes pranks where the victims are made to believe they are in serious danger, such as home invasions or drive-by shooting pranks, both of which were once popularised by prank channels on YouTube. This also includes pranks that have children experiencing emotional distress. Much of this comes after the rise of prank videos like Jake Paul’s Birdbox challenge video, in which Jake Paul tries to drive a car while blindfolded. Since it received massive backlash, that prank video was pulled down. 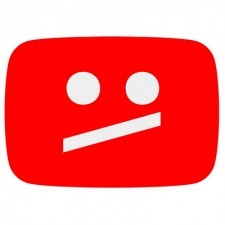 YouTube is giving a two month grace period to creators as it prepares to remove the content that disregards the new guidelines from the platform. Within the time frame given, channels who have that kind of content uploaded won’t be given any community strikes.